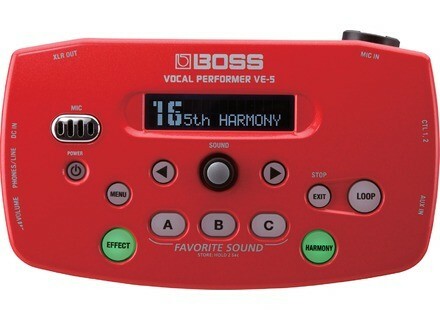 Boss announces the VE-5 Vocal Performer, a personal effects processor and looper for vocalists. Featuring a tabletop design that can be attached to a mic stand for performing, the VE-5 is suited for singers, rappers, beatboxers, webcasters, and anyone that wants to have fun with processing vocal sounds. 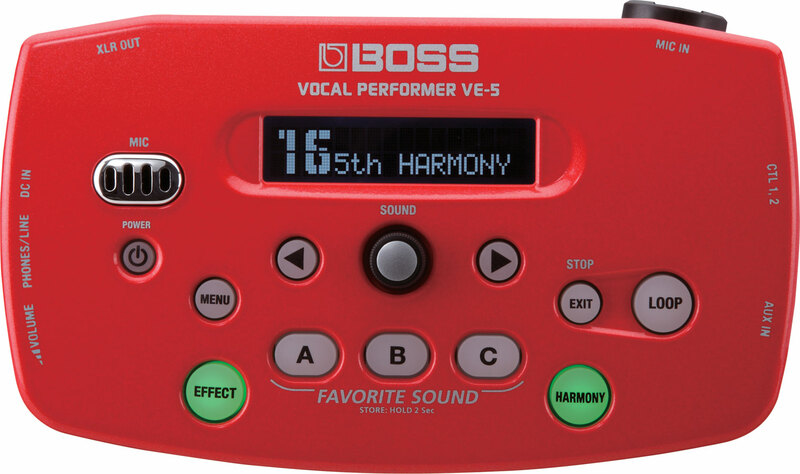 The VE-5 inherits effects from Boss’ VE-20 Vocal Performer pedal, including reverb, delay, double/harmony, and dynamics processing. Also on board is realtime pitch correction and special effects processing via the TONE/SFX category. A built-in phrase looper lets users capture vocal performances with effects and loop them on the fly. The VE-5 features an XLR mic input and XLR output for interfacing. There’s also a built-in mic. Other connections include a headphone output with volume control for personal monitoring, as well as a stereo AUX input for connecting an external music player. In addition, up to two optional BOSS footswitches can be connected for hands-free control of effects or loop functions. Power is provided with batteries or an optional AC adapter. The VE-5 is available in two colors: red (VE-5-RD) and white (VE-5-WH). [Musikmesse] MAckie SP260 Speaker Processor Mackie announces the SP260 2x6 Speaker Processor.